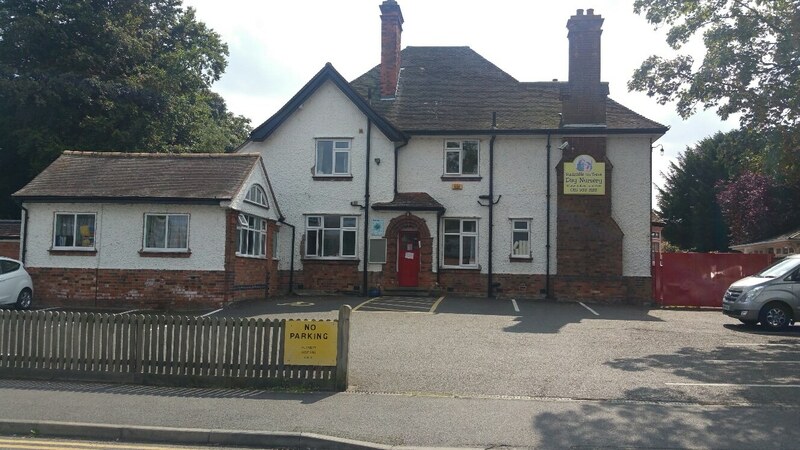 We are located just off the A52 between Nottingham and Bingham in the centre of the village of Radcliffe-on-Trent. This makes us accessible to all families in the area. 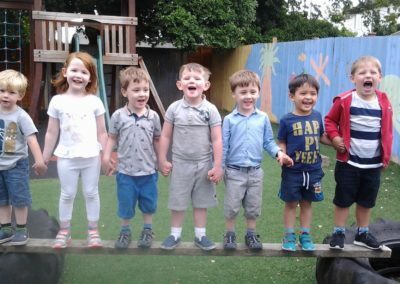 Our warm and caring staff team welcome visits at any time and wewould love to show you around our lovely setting and play areas. Our opening hours are from 7.30am to 6pm for 52 weeks of the year. By arrangement we can receive children at 7am. Our nursery is surrounded by plenty of local shops and amenities. 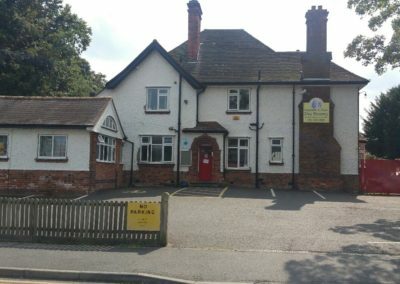 Our building was the doctor’s surgery from the 1930s to the 1970s, and was converted into our home from home setting in 2003. Large rooms and an extensive outdoor play area make this nursery an ideal site for children, with free flow to the outdoor areas from every ground floor room. The location is perfect for getting out and about in Radcliffe, from trips to the Library and the Post Office, to grocery shopping and trips to the local park. Our pink minibus takes us on trips further afield too – Wollaton Park, Stonebridge City Farm, Maceys Farm, Tollerton Airport to name a few. We love going out to extend our childrens’ world. We enjoy tasty and healthy meals cooked on site by our nursery cook, and grow our own vegetables too. Children plant and celebrate their growing achievements by cooking their produce with the help of the nursery cook. 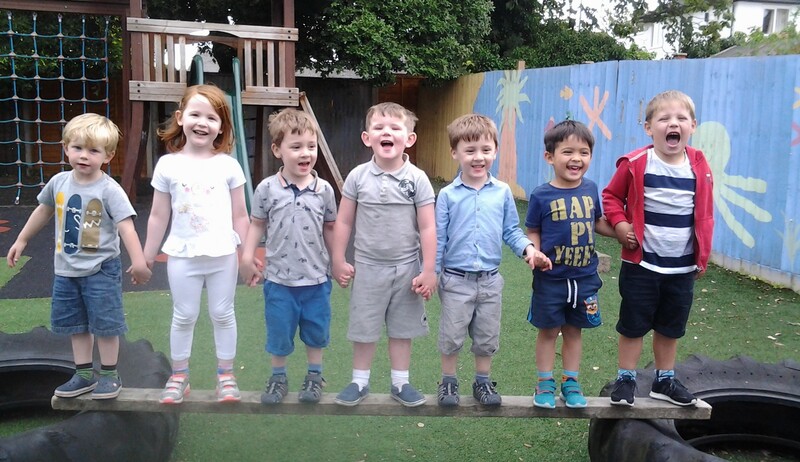 We always love to be outside, and play in all weathers, including trips to our Forest School site in West Bridgford. Our children enjoy being outside whatever the weather, exploring their natural surroundings in the sun, rain or snow. There is no bad weather at Radcliffe-on-Trent Day Nursery, only bad clothing! The children wear waterproof clothing to stay as dry as possible. We have separate areas for outdoor play for each age group, and each area is securely fenced with childproof gates and doors. We are a very outdoors setting, where children can build and create, imagine and learn . Our babies sleep outside too, in a range of coach built prams. They are warm, safe, exposed to lots of fresh air and sleep like babies! We host lots of celebrations that involve parents too. At Christmas we hold our Nativity in the local church which is a two minute walk away, we go to the pantomime in Nottingham, our Easter celebrations include an Easter Bonnet Parade, egg hunt and egg rolling competitions, we have an annual Sports Day in the summer (including Parents Races!) Our Summer Graduation celebrates all our children who leave us to go to school each year.